The Division 2 is looking like a pretty significant improvement over its predecessor in a number of very important ways, and the one that catches attention more than most is its setting and narrative setup. The Division had a cool premise, but many felt that it failed to capitalize on that- it was, in fact, a major sticking point for a number of people who played the game. 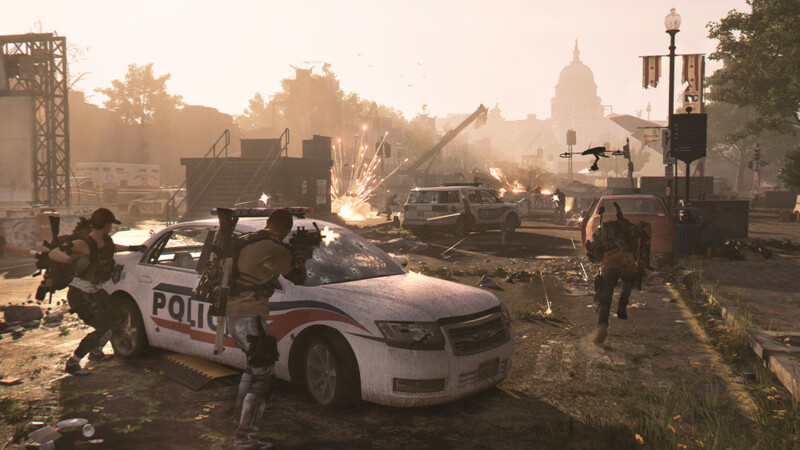 We recently interviewed the game’s associate creative director Chadi El-Zibaoui, and of the many questions we asked, one of them was whether or not The Division 2 will utilize its setting and its basic narrative setup better than the original game did. More specifically, we asked El-Zibaoui if, for example, The Division 2 would spend more time on showing the lives of the survivors in its post-pandemic world, and he said that that is very much going to be the case. From all that we’ve seen and heard of the game so far, these quotes included, it is looking like The Division 2 will have a much larger focus on a concrete story than its predecessor did. El-Zibaoui also told us, for instance, in this very same interview, that the game would have a very robust single player campaign. Don’t worry though, it’s not going to neglect its multiplayer side of things. That will see a number of improvements as well- you can read more about those, among other things, here. The Division 2 launches early next year for the Xbox One, PS4, and PC.